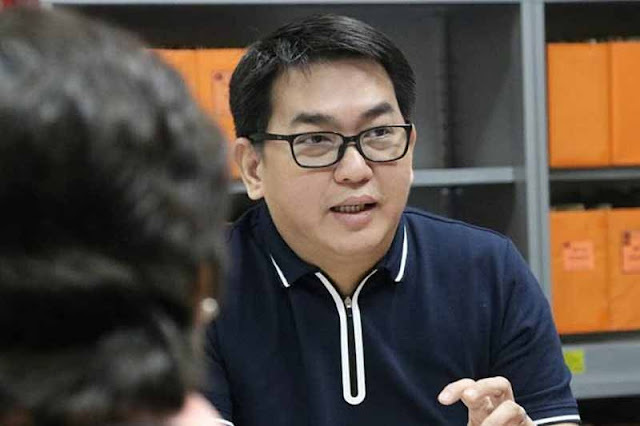 MANILA – Beleaguered ACTS-OFW Partylist Rep. Aniceto "John" Bertiz, who was involved in a series of controversies, has been hospitalized after sufferring from chest pains, his colleagues at the House of Representatives revealed on Wednesday. Minority leader Danilo Suarez said Bertiz was complaining of chest pains and has been admitted to the hospital since Tuesday. COOP-NATCCO Partylist Rep. Anthony Bravo said Bertiz had undergone five angioplasty procedures in the past. Buhay Party-list Rep. Lito Atienza said Bertiz is suffering from hypertension, noting that his blood pressure likely rose due to the controversy he is facing. Bertiz was caught on a CCTV security video on Sept. 29, allegedly refusing to remove his shoes as part of a security protocol at the Ninoy Aquino International Airport (NAIA) and snatching off the ID of the airport personnel, identified as Hamilton Abdul. The lawmaker has also been involved in other controversies, such as his "no license" joke about Special Assistant to the President Bong Go during a recent oath-taking ceremony and a shouting match with United Filipinos-Migrante leader Eman Villanueva in Hong Kong last year. Both incidents were caught on video that went viral. Bertiz himself filed House Resolution No. 2212, directing the House committee on ethics and privileges to inquire into the incident that transpired on Sept. 29 at the NAIA Terminal 2.